UPDATE: The current open enrollment has closed. If you are on the wait list, you will receive an email with an estimate of when your initial appointment will take place by Monday, October 13. Please note this is only an estimate of when your initial appointment will take place, and your invitation email may come a little earlier or a later depending on patient flow. We thank you in advance for your patience. If you did not make the wait list, keep in mind there will be more opportunities to become a patient in the near future. Read on to learn more about each of these developments. As a single practitioner, there are only so many patients I can serve—especially given my other obligations, including research, writing, teaching, and of course, personal and family time. By hiring and training other clinicians in my particular approach, I can serve a much larger population of patients. That’s why I’m excited to introduce Dr. Amy Nett. Amy came on board about three months ago after an extensive search for a clinician that would be a good fit in my practice. She has been working closely with me during that time, and I continue to be impressed by her strong grasp of ancestral nutrition and the fundamental principles of functional medicine. Amy also has an insatiable thirst for learning, and as a radiologist, is an expert at reading and interpreting the scientific literature. Learn more about Amy and her background. Amy is currently available for follow-up appointments to my existing patients. As we’ve just added her to the schedule, she has a lot more availability than I do and thus the wait to see her is much less than it is to see me. Amy is already very familiar with my approach and protocols, and I supervise her directly with contact and meetings throughout the week. If you’re a current patient, and you’re interested in scheduling with Amy, you can book an appointment with her through MDHQ, our new electronic patient portal. In a short time (2–4 months), Amy will begin accepting her own new patients, and this will of course significantly increase the number of patients we can accommodate in our clinic. We’ll make another announcement when that happens. In addition to hiring Amy as my associate, I have also partnered with a functional medicine physician who is both a colleague and a friend, Dr. Sunjya Schweig. We have merged our practices to create a new center/clinic called the California Center for Functional Medicine (CCFM). I joined forces with Sunjya because he and I share a similar approach to functional medicine and patient care, and have a similar vision for how to revolutionize medicine. I also have tremendous respect for Sunjya as a clinician (he is my doctor—that’s how much I trust him!) and as a person. Sunjya treats a wide range of conditions, but he has special interest and experience in treating chronic infections such as Lyme disease and other tick-borne illnesses. Learn more about Sunjya and his background. The CCFM website isn’t ready yet, so for now you can make an appointment with Sunjya by submitting an inquiry through the contact form on his website. He is currently accepting a limited number of new patients since he has recently relocated to Berkeley, CA, but he will fill up quickly so if you’re interested in seeing him you should act quickly. Once the CCFM site is ready, I’ll make another announcement here with a link to it and additional information about the new clinic. Each week I get several emails from people who want to incorporate Paleo-based diet and lifestyle instruction and/or functional medicine into their existing coaching, training, or medical practice, or from students or people seeking a career change who wish to start such a practice from scratch. The main question I get from these folks is always some variation of: where can I learn to do this? How can I train to do work that is similar to what you’re doing in your practice? So far, I haven’t had a good answer. There are several different options for getting “pieces” of the puzzle, but there is currently no single training program that offers it all: functional medicine, ancestral health (Paleo diet and lifestyle), and practice building and management. As you can see, it all starts with what some scientists are referring to as the “exposome”. This refers to the totality of environmental (i.e. non-genetic) exposures from conception onwards—including our diet, lifestyle, physical activity, exposure to toxins (including prescription drugs), and early life influences (our parents’ health at conception and mother’s health during pregnancy, our method of birth, whether we were breastfed). The exposome is what determines how our genes express (or don’t express), which in turn contributes to the unique manifestation of underlying mechanisms, diseases, and symptoms that occur in each individual as they move through their life. So, as you might expect, the first module of the training program will focus on how to modulate the exposome, the environmental factors that are the primary drivers of health and disease. In most cases, addressing these factors is by far the most important thing you can do (and sometimes the only thing you need to do) to restore health. I’ll provide instruction on how to modify diet, physical activity, and other lifestyle factors for the most common health conditions and goals, from people with chronic illnesses like Hashimoto’s and IBS to athletes who want to optimize their performance. The next module will be the core functional medicine training. That will cover the most important diagnostic, therapeutic, and practice management skills you need to master to have a successful functional medicine practice. From there, I will offer additional modules on advanced topics such as functional blood chemistry, methylation, lipids and heart disease, chronic infections, fertility/maternity, and more. The training will be available virtually to begin with, though I am also considering in-person events (such as retreats or workshops) as well. I’ll make another announcement a few weeks before the training becomes available. If you’d like to be sure to be notified when it is, sign up for my email list if you are not already (enter your email in the blue box in the sidebar on the right). Please let me know your thoughts and questions in the comments section. Have you looked on Primal Docs? I’m very excited about your training program. I am a Kalish Method Practitioner and certified health coach. Would the functional medicine modules be open to me? I am able to run labs, but only saliva, stool and urine, not blood. I have the potential to partner with other practitioners such as NDs, NPs or acupuncturists and could have access to blood work labs that way. Would this improve my eligibility? Also, I am preparing for a master’s in science in human nutrition, in order to become a certified clinical nutritionist. Thanks for all your great writing and resources! Sarah, please email [email protected] and you’ll be added to a list of those interested in joining the program (and who want updates on the structure/timeline). I am not well and have many health issues one being difficult to get rid of fungus in my stomach and intestines, the branching difficult kind. I had a 23andme gene test done and the info was merged with genetic genie and shows many methylation issues. COMT, MTHFR (heterozygous), plus many more gene variations. I need an expert who understand what all of these gene variations mean and do to my system. I am also missing the glutathione gene in the liver/kidneys according to the detoxigenomic profile done years ago by genova diagnostics. I am trying to heal my leaky gut…I take DHEA and pregnenolone to support my stage 3 adrenal exhaustion. (for years medical doctor’s didn’t understand why my stomach was so inflamed) I had candida and adrenals that weren’t being supported and my stress in my life. 20 years later it was found that I had Blastocystis Hominis. I am a mess and very ill! I am looking for an MD who understands and knows how to treat all of these conditions. Nystatin doesn’t penetrate that hard outer capsule of the fungus so I have been taking Diatomaceous earth to try and weaken it. When I was young I was given antibiotics and then later in life for mitral valve prolapse…unfortunately. I was born 40 years too late for the reason of having terrible anxiety in High School. I also had the HLA DQ2 gene and don’t eat any wheat and gluten. The fungus is the problem and lives in the stomach and digs into the intestinal wall. Not sure how I will be able to heal the lining. I’ve tried Sialic Acid and HCL. I eat bone broths every day…I have many food sensitivities, etc. Also dysbiosis of the intestinal flora. I am interested in receiving an alert or notification as to when there is a new opportunity to sign up as a new patient. I have already signed up on Chris’ email list. Is there anything else I need to do to be notified of when the next open enrollment is? Just to let you know, since my original question on this page and your response here i have been doing some investigating. I have discovered that my title turns out is Nutrition Advisor i can get insurance to practise with the FNTP and due to this i am now registered with 3 labs in the UK which means i can order their lab tests. They offer many of the tests you have deemed as your preferred brand (at the time) for a particular type of testing system as well as many others you mention from time to time as being good tests. I thought this would be helpful for you to know in the planning stages of your course. I am really hoping this means we Brits could do all the modules. Very excited to learn more about Functional Medicine- Hoping that I’ll be able to participate in your training. I am a Family Nurse Practitioner doing primary care. Thanks. Chris, I am planning to apply for the IFM program next year, so I’m thrilled at the announcement of your program. An eye exam provides numerous unique opportunities to discuss systemic health with a patient, and I believe very strongly in treating the whole person. I frequently refer my patients to your web site for information, and I can’t wait to hear more about the training in the spring. Thanks for being such a great resource! Was wandering what the protocol would be for ridding yourself of Blasto Hominis? I’m taking some Metagenics formulas Bactrex and Parex to try and kill it naturakky but I read it’s fairly resilient. There does seem to be any conclusive evidence on treatments. From the same stool test I noticed I there is Mal-digestion of Fat. Any thoughts would be greatly appreciated. My son suggested that I seek help from Chris as I have thyroid problems which in turn trigger blood sugar and energy problems. My doctor feels that the missing piece of the puzzle is nutrition. I missed your deadline as I wasn’t able to get to my son’s recommendation until after the wait list had closed. Chris, I wondered if it was possible to work with you at some time in the future? I also a a few mild autoimmune problems…so diet is key to my future health. I have been struggling with this for two years. I would like to work with you directly as you have a special expertise and experience in all of these. Ann, there will be more opportunities to become a patient in the near future. Join Chris’s mailing list (blue box on http://chriskresser.com/) and you’ll be notified of all upcoming clinic changes. I’m very excited to hear of your plans for the training program. I really respect your approach and use you as a reference on many matters. I am a Paramedic who works in an Emergency room and function as a nurse in many ways. I’m persuing my RN as well as possibly a Nutritional Therapy Practioner cert through the NTA. Would a Paramedic be considered for the training program? Clinician Training Program, Chris count me in! I was suggested to follow and learn of you by my national educator whom I highly admire and to my surprise even he had referenced and that person was you. My sister told me about this great new program and I’m so excited for the launch. Even more so the opportunity of enrollment. Please let me know when you are accepting new pts again. I was excited to see the Open enrollment, but sad it has already closed. Is there a way to get on your waiting list???. My daughter has severe eczema, we have been trying everything for almost two years and hope you might be able to work will her and improve her health. Kind Regards, Tamara, mama of Annabelle Jojo. There will be another opportunity to become a patient in the near future (3 to 4 months). Thanks for your patience! While you are waiting for an opening. You could call Sonja at Herbs Forever at 1-213-427-3500. They have incredible herbs for eczema. “Blood Cleaner” (2 tabs 2 times per day) is the name. Then to apply directly to the skin, you can try “DermRash” from drkangformulas.com Chinese Herbal Medicine and Ayurveda knows the imbalances that cause eczema. Also, there is usually an underlying fungal issue that complicates eczema, so have her also get on “Yeast Away” from peakhealthcareproducts.com, as directed. If you really want to kick it in high gear, then you would also get “EczeDerma” from Dr. Kang Formulas as well. 3 tabs 2 times per day. She would need to stay away from eating wheat, sugar, beef, pork, and dairy. Cannot wait for this training/educational offerings. I am a CNC but studying to get my RD currently. Love your writing, Chris. Thank you! I have no training except that of being an air traffic controller and was wondering the prerequisites? I’d like to improve my 14,000 coworkers health versus taking 2 computer based modules that the government provides. Chris i have read through all the comments and am trying to make sense of how they might apply to me but i have further queries relating to your clinician training programme. I studied Nutrition at the College of Natural Nutrition in 2006 and gained a qualification as a Natural Nutritionist, which would have made me able to get insured to practise as a Nutritionist in the UK. It was an amazing course and i chose it because i had been diagnosed with ME and the woman running the course had had terrible ME and made a full recovery and looked amazing and was a truly awakened human being, the more official nutrition courses i checked out at that time, seemed to be very allopathic in their approach and not at all up to date with the science, i.e shove (any form of) calcium into someone with osteoporosis etc. and the people involved with it that i got to meet looked ill and still thought eating brown bread was the answer to everything. So though i would have preferred a more formal qualification i didn’t go there. We haven’t worked out the exact requirements for the program yet, but if you are able to order labs, that might qualify you to participate. We’ll discuss more as the time approaches. Just to let you know, since your response here i have been doing some investigating. I have discovered that my title turns out is Nutrition Advisor i can get insurance to practise with the FNTP and due to this i am now registered with 3 labs in the UK which means i can order their lab tests. They offer many of the tests you have deemed as your preferred brand (at the time) for a particular type of testing system as well as many others you mention from time to time as being good tests. I also practice Acupuncture in the US.. And have been waiting for the day when you would say that you are providing trainings. I have always been curious about your thought of TCM and combining the Functional approach. I will definitely sign up for what I think will be a online training, but wow I would love personal weekend seminar type trainings..especially if CEUs are provided!! I do plan to offer in-person workshops and/or retreats that are either standalone trainings, or supplement the virtual/online trainings. There’s no substitute for in-person interaction! Thank you for all that you do and congrats on your new practice! My name is Sarah James, and I am a Family Nurse Practitioner student and Certified Health Coach in San Francisco. I am also in the IFM training program and completed the AFMCP this past September. In addition to the clinician training you will be conducting next year, do you offer any internships within your practice? I would love any opportunity to learn from your and your team! Thank you for your time. Chris – Congratulations on all these exciting developments and recent success! I’ve been anticipating the news on the clinician training program and am ready to jump in so I’ll look forward to the forthcoming details. Quick question: are the modules mutually exclusive so that someone with more experience/education can, for example, opt to skip module 1 and simply register for the module 2 functional medicine component? Or is module 1 a prerequisite/both modules linked? Thanks! Yes, they will be separate and I specifically designed them that way for this reason. Some people will only want to do module 1 and stop there, because they want to focus on nutrition and lifestyle and have no intention of becoming a licensed practitioner and/or treating chronic illness in a clinical setting. Others already have the nutritional base but want to learn how to use labs and a functional medicine approach in the clinic. They can start with the functional training (module 2) and proceed through future modules. This sounds a little suspect. I clicked on the link within 5 minutes of it being sent to me and the link was down. This wasn’t 30 minutes, it was 5 minutes. And low and behold is a special announcement pre-selling his new associate and dropping the carrot of training. I highly doubt there was even a signup but this was an attempt to create false scarcity and a fake waiting list practice that Chris is in such high demand. I really enjoy Chris’s blog posts but this cheesy “waiting list practice” nonsense is insulting to your reader’s intelligence. Chris you are better than this. We did accept 100 new patients for the wait list. Unfortunately, some people got the email sooner than others, which happens when sending to such a large list. We are looking at changing the process for the next open enrollment, so it’s more fair. Are you serious? The last time my practice opened, 2 years ago, 600 people joined the wait list in about 3 days. My practice has been closed to new patients that entire time. Was that also part of my secret ploy to promote my clinician training program? If you have ideas for how we can improve or change the process of new patient registration, we’re all ears. Keep in mind that 1.3 million people visit this site monthly, 140,000 are signed up on the email list and 200,000 download the podcast each month. Though the audience is international, the large majority are in the U.S. So please take this into consideration when you offer your suggestions. Last time we ended up doing a lottery and assigning random numbers to people because so many joined the wait list in such a short time. That wasn’t perfect, but it seemed more fair than giving someone who signed up at 8:23am on Monday a spot 100 people ahead of someone who signed up at 10:00am that same day. The problem with this approach was that with 600 people on the wait list, and me only seeing patients two days a week, #600 on the list wouldn’t get an appointment for 3 years. Of course over time quite a few people found other practitioners or got better on their own, and dropped off the list. So it only took me 2 years to get through it. This time we decided to only add 100 people, which I can get through in about 4-5 months. This way people won’t be told they have to wait up to 3 years, and we can do “rolling” periods of open enrollment. The downside, as you just saw, is that with the current high demand it only took about 20 minutes for 100 people to sign up. Next time we may keep the enrollment period open for longer, maybe a week, and then just do a random lottery and select 100 people from the total # that sign up. Again, it’s not perfect, but at least it gives people a chance even if they aren’t able to open the email immediately after it is sent. I empathize with people that have been waiting a long time to become a patient, and missed the opportunity this time. I wish there was some way I could serve more people myself, while continuing to run the blog, podcast, write books, etc. But there are only so many hours in the day. Is there any training available for those specializing in Pharmacy? I am currently in pharmacy school and would be interested in taking an alternative route after graduation. It depends how you want to help people. As a pharmacist, you’d certainly qualify for the first module, and possibly the functional medicine component as well. I am a Physician Assistant, and trust that I will be able to participate in the training. Very excited to bring this forward to patients of a traditional internal medicine practice. Yes, it will definitely be open to PAs. I live in Melbourne Australia, any chance you will do online again or do you know of people in Melbourne i could get in contact with. It will be an online training course (with some optional in-person workshops/retreats), so you will be able to participate. Any referrals for a doctor that practices alternative medicine or like minded regarding GI issues in the Los Angeles area? I’m in need of care and was hoping you new of and could recommend someone in the sacramento area that was like minded in alternative medicine, as you? Great news Chris, we are an Osteopathic clinic all the way over in the Gold Coast of Australia and have been practicing ad hoc ‘functional medicine’ because there is such a lack of it here and the integrative medical doctors are so expensive, there is only 3 for a population of 500 000 and they have long waiting lists. Have been trying to find a program to formalize what we are doing – I deal mainly with kids but my associates do adults and am doing the Walsh training in March but my wife is super keen to do your program. I am hoping that your international followers will be able to do the program. Thanks for keeping shining the light – I know how time consuming all this work is – and how so many people want a piece of you. so well done brother – well done! Thanks for your feedback and kind words. Yes, the training will be available virtually for people that live overseas. The potential difficulty there is that I will be discussing labs and supplements that are U.S.-centric. That said, many of these labs and supplements (or at least suitable alternatives) are becoming available in other countries so it may not be much of an issue. SO exciting! I am an IIN trained health coach, but am unsatisfied with this level of training and would like to get some sort of naturopathic/integrative medical training. if I understand correctly, what you’re offering is complementary to this medical training and not the training itself, correct? if so, I would love any advice on a training program that best matches your methods…. Thank you! My training will be in “applied” functional and integrative medicine.” In other words, it’s focused on how to use a functional/integrative approach in clinical practice. It does not provide the basic skill set that you would learn in conventional, naturopathic or osteopathic medical school, or by studying Chinese medicine, nor does it provide a license or degree. It’s more of a “continuing education” opportunity, though it will be open to students in any of the licensing programs I mentioned above. yes, thank you! I would love a couple of your top recommendations for functional medicine schools in the US for a ND (and maybe LAc as well) license. There really are no “functional medicine schools” in the U.S. at present. You can go to school to obtain a license as an MD, DO, ND, DC, LAc, etc., but you would then need to supplement those programs with continuing education in functional medicine through a training program like the one I plan to offer, the Institute for Functional Medicine, etc. I’ve practiced as a board-certified anesthesiologist for over 2 decades in the Sierra Foothills. What you are developing seems incredibly legitimate and timely. Looking forward with a very high degree of anticipation to your best efforts. I received a message this AM saying that you are accepting new submissions; when I went to submit, sadly I see all new submissions are closed. What can I do. Is there another list? I live in southern California, can you refer me to practitioners who practice as you do? Unfortunately the wait list is full. There will be more opportunities to become a patient in the near future (3 to 4 months). I am a RN/CRNA and Holistic Health Coach. I am interested in the training program. Is it only for MDs? Who is eligible to participate? Also any information on timing and financials? See my answer to similar questions above. The clinician training program sounds amazing! Do you have pre requisites for people to be able to enroll or participate in this training program? Just saw the answer to my questions in the other comments. Thanks and I am super excited for this program! Hi Nicole, see my answer to this question above. The first module which focuses on nutrition/lifestyle intervention will be open to licensed clinicians (MD, DO, ND, LAc, DC, RDs, etc.) as well as nutritionists, health coaches, trainers, and others that work with clients in a health capacity. The functional medicine training will likely be open to licensed clinicians only. It would seem a graduate-level or doctorate-level degree should also qualify one for the trainings. There are plenty of providers who are doctorate level(Ph.D., etc.) that take the IFM and other modules. I sent you an email this morning to [email protected] The form did not work when I first clicked it and it seemed to have stopped accepting submissions after that. It would mean the world to me to get an appointment. Please let me know if there is anything we could do. Unfortunately the wait list is now full. There will be more opportunities to become a patient in the near future. Thanks for your patience! Has anything changed in terms of prescribing meds or taking insurance for labs or office visits? I’m a current patient and need follow up, possibly with Amy. HELP Please ~ too many notices in my inbox! I don’t want to receive all the comments that are posted here. How do I change this Please?? Alice, I don’t see you subscribed to get notifications for this post. If you’re still getting emails, check to see if there is a link in the email to unsubscribe. I received the email today about the opening of the waiting list and by the time I clicked on, it was full. I believe Chris or his newly hired professionals would be of great help to me with my complicated health challenges, as well as allow me to be a student in training while I capitalize upon their treatment. Please, I would really appreciate a chance to get to consult with him and learn from him. I rather enjoy the concept of merging integrative and functional! The next open enrollment period will be in 3 to 4 months, thanks for your patience! He’s opening his new clinic, hiring new practicioners, and starting the training program so he can serve more people in the future. What should we sign up for to be made aware of the next wait list opening? Just the newsletter? Or is this a different mailing list? The next time you are about to open the practice for new patients, would you consider opening it first to those of us who have paid for and gone through the Personal Paleo code and the High Cholesterol Action Plan? I am a current patient and I need a follow up appointment. If I book with Amy, can she prescribe meds? Does your practice allow me to use insurance at all for lab work or anything? If you see Amy for a follow-up appointment she can prescribe medication if she feels it is necessary. Our practice does not accept insurance, but can provide a superbill to submit to your insurance. Clarification: you must see Amy in person before she can prescribe medication. The same is true for any physician, at least in California. Looking for some advice – I’ve been back and forth from the ER, Doctor’s office and GI’s. Completed an endoscopy, Ultra-sound and CT-scan. Ucler was ruled out, I was told I have mild heartburn. I’m constantly nauseated and feel weak and fatigued. I was put on 40mg Omperazole twice a day. This has been going on since end of August. No one can tell me what’s happening, I’m not feeling well. Would appreciate and advice or insight. Thanks! Could you please expand on the idea a bit. For instance, would the completion of your course work account for CEU’s, or any other credentials? Thanks in advance for a response. Eventually I hope that the training will offer CEUs. It is very expensive ($30-50k) to set that up though, so it may not happen initially. Thanks for your patience Reis! I can’t wait 3-4 month,I am that sick and nobody can’t figure it out. Besides it will be the same story-it will be closed in a blink of an eye. There are other practitioners out there that can help. Dr Kresser is amazing and very knowledgable, obviously, but if you’re in urgent need and can’t get in to see him or Amy, you could try another practitioner who follows similar principles? Module 1 of the training, which is focused on environmental factors that contribute to health/disease (diet, lifestyle, toxins, etc.) will be open to non-licensed practitioners. The functional medicine training will likely require a license, since it will focus on tests that can only be ordered by licensed practitioners. Great info about module 1 for the training. What if a non licensed practitioner ( CNC) worked under a licensed practitioner could we possibly go through the functional medical portion of the training….just thinking out of the box….thanks! We’ll figure out those details as the time approaches, but that may be a possibility. I’m wondering if you have a ballpark figure for how much the training program will cost? I would love love love to be a part of it! We have not yet determined the tuition for the training. Stay tuned. I just saw ur email regarding new patients. And I went to fill the form and it was already not allowing sign ups. I had just gotten ur email An hr ago. I really would like to apply to have u help me. 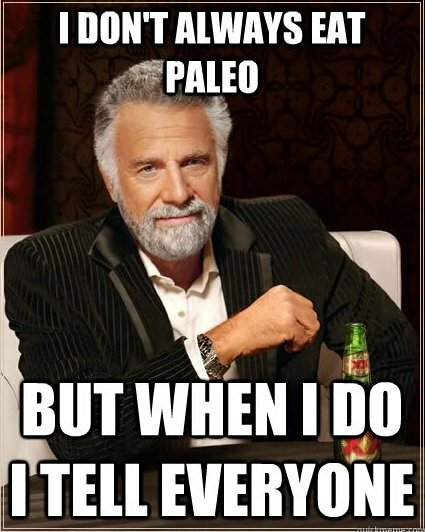 I use all ur products and follow the paleo code info. How could it b closed so fast, not fair. Unfortunately the wait list filled up quickly. There will be more opportunities to become a patient in the near future. Thanks for your patience! Hello Chris! I apologize if this has been answered already..Am I understanding correctly that you will be offering a training program to the public to do what you do as a functional medicine practitioner? Are there certain qualifications for the program? I would love love love to take part in your program. Hi Chris, I forgot to add this above to my previous questions: I am currently enrolled to start a program with IIN, starting later this month, in the pursuit to eventually do what you do. Are you familiar with IIN? Would you recommend it in addition to your training program? I hope this is the right spot to contact you about these questions. See my reply above regarding who the training will be open to. My training will be quite different than IIN, so I imagine they’ll be complementary. This was my last hope to figure out what is wrong with me. I really can’t continue my life as it is. I exhausted all options. I appreciate the tremendous work that must be going into The Clinical Training Program. I’m excited and wondering if you have a rough idea of when you’ll making the next announcement about its roll-out…weeks, months? I don’t want to shoot myself in the foot by announcing a date, and then missing it. As you can imagine, it’s an enormous amount of work, and I have a lot of other “jobs” so I can’t devote myself to it full time. That said, I am planning and hoping to launch the training before summer of next year. THANKS a bunch for the very rough ETA. I greatly appreciate your work and I promise to be patient however long it takes. I’m a family nurse practitioner (DNP / FNP) I’ve been studying and practicing functional medicine, nutrition and ancestral health for quite some time now. You mentioned in a previous podcast that you might be hiring some NPs to help you in your clinic. I tried to find another way to contact you but your website “contact” options don’t work so well. I am very interested in applying for a nurse practitioner position at your clinic if you are hiring. I have admired your work for a long time and would love to be part of the solution you provide. When we hire again we’ll probably send an email out with information about the position and an application. I was so excited to get the email about accepting new patients. I’ve been hoping to get on the wait list for a while. I immediately clicked the link to fill out the new patient info form, and was surprised to see that it was already closed. I only just received the email 50 minutes ago, and it’s already closed. I guess there were only a few spaces, and even fewer spaces on the wait list. I guess I’ll have to be fast next time. Unfortunately the 100 spaces filled up in less than 30 minutes. There will be more opportunities to become a patient in the near future. Thanks for your patience! There will be more opportunities to become a patient in the near future (3 to 4 months). Thanks for your patience! Unfortunately the list is closed. There will be more opportunities in the near future (3 to 4 months). Thanks for your patience! Looking forward to the clinician training. The list filled up in less than 30 minutes. There will be more opportunities in the near future (3 to 4 months). Thanks for your patience! Chris you embody the exact skill set, knowledge, and heart that I’d love in a practitioner–so I’m keeping my fingers crossed!!! There will be more opportunities in the near future (3 to 4 months). Thanks for your patience! How about an option to join the training program for the practice management module only? I received the email 38 minutes ago and it’s already closed. Oh my I am so disappointed.Can I at least be on a wait list? I am a health science professor interested in transitioning to patient care. I have been thinking about Wellness Coaching certification and would love to do the Duke program, but I cannot leave my teaching responsibilities to attend their classes on campus. I have considered the IIN and Wellcoaches online programs, so if you are an alternative to those, I will be very interested. Yes, the training is geared toward folks in your exact situation, as well as students wishing to get started in functional medicine and current MDs and other clinicians with conventional practices that want to integrate functional principles. Thanks! I’ll wait to start a program until yours is in place. IIN is supposed to very “light on” with actual nutrition information from what I’ve heard. If I was to choose, I’d be going with Chris’ program. Chris, I am extatic to hear about this program you will be offering. As a dietitian, will this program be appropriate to take my knowledge to the next level? Thanks! Yes, the first module in particular will be great for dietitians. Dr Schweig is a great doctor. He helped me reverse my gut disfunction and stop the downhill slide in my health. I’ve been Paleo for a year at his suggestion, had my mercury fillings removed, started LDN for my Hashimoto’s antibodies, etc. Very wise decision to partner with him. BTW, the link to his background is not there. Yes, Sunjya is a fantastic and caring physician. I’m excited to be working with him. Does this mean you have already closed the waiting list for new patients? If it’s still open then how do I submit the form? Yes, unfortunately we had to close the enrollment period. 100 people signed up in about 25 minutes. This is why I’ve merged with Sunjya, hired Amy, and will be doing formal clinician training as soon as I can develop the program. I am working as hard as I can to create more opportunities for people that need help. So sorry to have missed this opportunity Chris. Hopefully there will be more along the way. Thanks much for your reply, Catherine! Thank you so much for everything that you and your team provide Chris! You are taking paleo and functional medicine into the mainstream with grace and ease of understanding and offering so many valuable resources to the public. Clearly, the demand is so high for your clinician practice because there is an overwhelmingly high population in need of what you offer. I am delighted by all the progress you are making to offer more support in such a short period of time. Very excited about your training program! This will clearly be a breakthrough approach to helping each other heal. Thank you for all your hard work! I can’t get on the form either. Unfortunately the wait list reached capacity. There will be more opportunities to become a patient in the near future. What is a program Chris can recommend, whether in person or online, for a novice looking to enter the Health Coaching/Nutrition field with no background in the sciences or a medical practitioner? Where to start as he fine tunes his program? Stay tuned for more details on his formal clinician training program. This week’s RHR podcast (posting 10/9) will touch on education in paleo / functional medicine as well. Link to new patient sign up still says no longer taking submissions. Please don’t tell me that 100 people have already signed up in the 22 minutes since I received the email notification!? Unfortunately we did reach capacity on the wait list. I am so excited about the new training! I’m starting my masters in nutrition and functional medicine in April hopefully this will be something that I can add to my learning. Thank you for all of your hard work and knowledge! Please share where your other trainings occur. Thank you. Wow, this is amazingly exciting! “Thank you” doesn’t seem nearly enough for all you do to further truly excellent healthcare and health knowledge, Chris!